Star Cruises celebrated the arrival and inaugural homeport deployment of SuperStar Gemini in Port Klang on 5 November 2018. 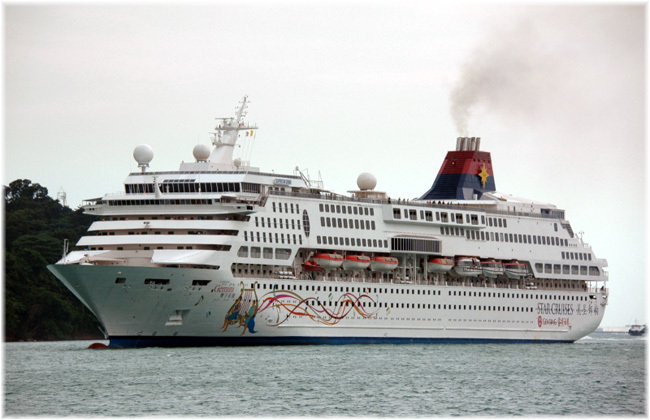 The arrival of SuperStar Gemini, one of Star Cruises’ most popular cruise ships into Port Klang marks the start of her residency until 28 April 2019, with additional options to embark from Penang and Langkawi, offering a variation of 3 Night cruises that also includes Phuket, Thailand. A welcome ceremony was held on board SuperStar Gemini with invited guests to showcase the many exciting highlights available on the ship and to introduce the benefits of a hassle-free cruise vacation with Star Cruises. Attendees included Yang Berbahagia Dato’ Haslina binti Abdul Hamid, Deputy Secretary General (Tourism), Ministry of Tourism, Arts and Culture Malaysia as the Guest of Honour, together with other local dignitaries and authorities, as well as the travel trade and media partners. In conjunction with the ceremony and as part of Genting Cruise Lines’ ongoing commitment to make a positive difference in the daily lives of the communities across the region, Star Cruises had the valuable opportunity to team up with Make-A-Wish Malaysia to grant a young boy’s wish to be captain for a day. Wish Child, Adam Khalish has always been fascinated with cruise ships and always wondered how it’s like to sail on the open seas. SuperStar Gemini’s Captain Christian Westergren presented the child with a captain’s hat on behalf of Star Cruises and arranged a guided ship tour, as well as invited his family to sail together for the maiden voyage from Port Klang on a 3 Night cruise to Phuket and Penang (5 – 8 November 2018). With SuperStar Gemini here in Malaysia, featuring multiple homeports in Port Klang, Penang and Langkawi, guests can choose to depart from any of these well-connected travel hubs to discover a variety of popular round-trip cruise itineraries. These include the 4D3N Phuket / Langkawi cruise or the 4D3N Phuket / Penang cruise, as well as the special cruises including the 5D4N Phuket / Krabi / Penang cruise (departing 6 Feb 2019) and the 3D2N Singapore cruise (departing 10 Feb 2019). Alternatively, passengers can enjoy the 4D3N Port Klang / Phuket round-trip cruise itinerary from Penang that is also available on selected departure dates. In collaboration with Sony Pictures for the upcoming movie ‘Spider-Man: Into the Spider-Verse’ in cinemas this December, guests can look forward to a whole new and immersive Spider-Man experience and adventure with interactive activities on board SuperStar Gemini, available from 14 November 2018 until 31 January 2019. With the movie exploring the different Spider People from the different universes, on board guests will also get to explore and enjoy a myriad of ‘Spider-Man: Into the Spider-Verse’ related activities such as the Spider-Man Scavenger Hunt, Meet & Greet, Fitness Challenge, Christmas Celebration and all things Spider-Verse related activities on board.